Uganda lies astride the Equator in Eastern Africa between longitudes 29 ½° East and35° East and between latitudes 4 ½° North and ½° South at an average altitude of 1,100 meters above sea- level. 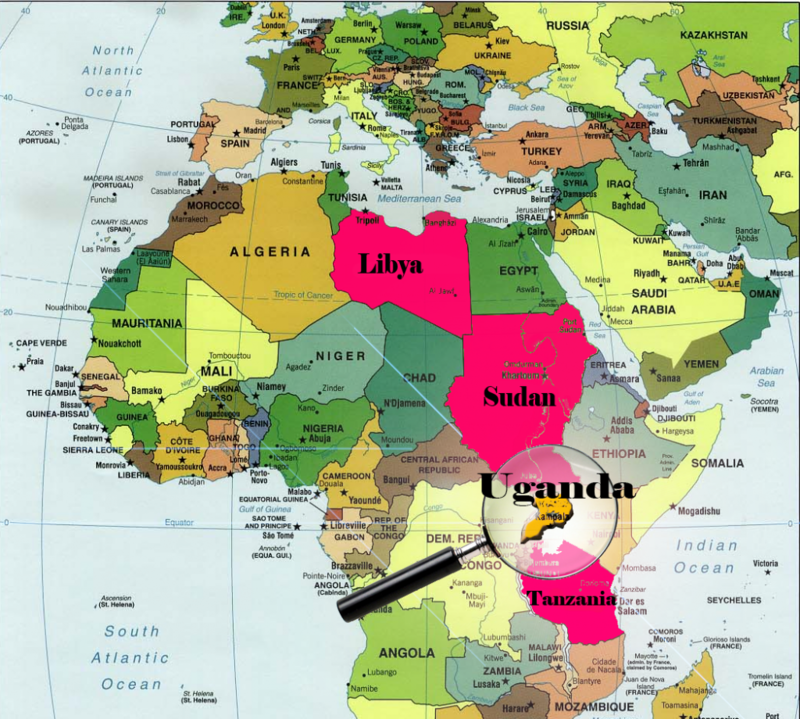 The total area of Uganda is 236,580 sq.km. It is bordered by the Republic of South Sudan to the North, the Republic of Kenya to the East, the Democratic Republic of Congo to the West, the United Republic of Tanzania and the Republic of Rwanda to the South. The capital of Uganda is Kampala.